The A-list movie star has unleashed a new technology on the world. 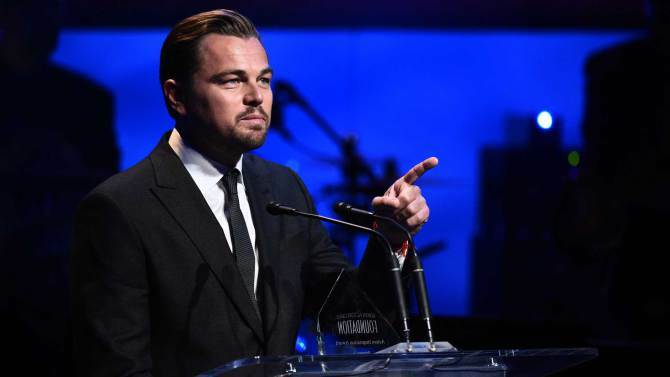 Leonardo DiCaprio is known for his many films and his Hollywood A-list status, but he’s also very aggressive when it comes to environmental causes. Now, he’s behind a new free technology that would allow users to sppy on global fishing practices to clamp down on illegal activity that threatens wildlife in the world’s oceans. Called “Global Fishing Watch,” it was released to the public this week at a conference hosted by U.S. Secretary of State John Kerry. The goal is to crowd source monitoring of illegal fishing, which experts say is responsible for up to 35 percen tof global marine catch each year. Illegal fishing also results in overfishing, which is resulting in depleted fish stocks, especially for large fish like tuna and swordfish. Those species are 10 percent of historic levels. The technology uses satellites and radar aboard boats to let people zero in on certain areas and watch 35,000 commercial fishing vessels.